The Friday before Jasmine’s meet we talked about concerns and race strategies. Jasmine was nervous because she had never raced the mile, which is normal for a beginner runner. I assured her that she had come a long way since last fall and was running very well. Then we went broke down her race into small and manageable parts. Above all I told Jasmine to have fun and trust her training. By the end of practice she was feeling much better and we were excited to see how she would race a Sunday. The following Sunday I was not able to attend Jasmines track meet, which was tough for me as a coach. All of Sunday morning and afternoon I checked my phone for an email from her father. After much anticipation, received a message and was overjoyed by what I read. Jasmine won both the 200 meter dash and the 1600 meter run in 32.9 and 6:27, respectively! It is races like her’s that reassure me my training plans are working. After this EduRunner’s successful debut, I take pride in her performance, but also seek to recognize ways that she can improve improve as an athlete, and I can improve as a coach. 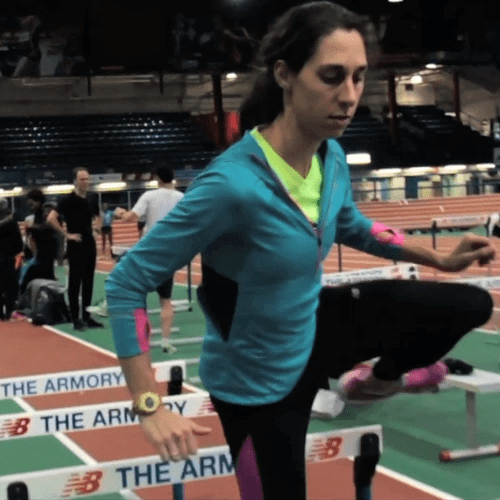 The Educated Running method is a constant learning process. This past Sunday EduRunner, Jasmine, competed in her first high school track meet. It was also her first race under my coaching. Late last fall Jasmine’s father reached out to me interested in finding a coach for his daughter. Jasmine was interested in running track, but had little knowledge or experience in regards to running. Working with a young athlete is sometimes tricky. If you work them too hard they can become injured, or worse, burn out. If you don’t work them hard enough they may get bored or frustrated by a lack of results. A runner who is engaged is much more likely to work hard than one who is not. So, in addition to all of the repeats, intervals, and runs I do my best to keep practice fun and interesting.